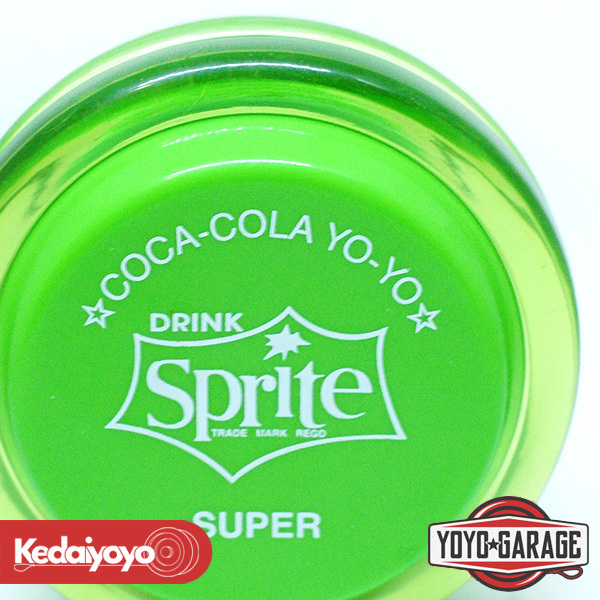 The old 1970's Coca-Cola yo-yos get a new run; this time with the 2006 redesign Super Series. This is a revival model of the yo-yos that Coca-Cola released in the 1970's. This model is the same as the one released in 2006 in Japan. The word "Super" and "Drink Sprite" is written on both sides of the yo-yo, in katakana and in English. Due to its thin body, it's best suited for looping practice. The string it comes with is 100% cotton, so we recommend switching it out quickly before the string breaks. 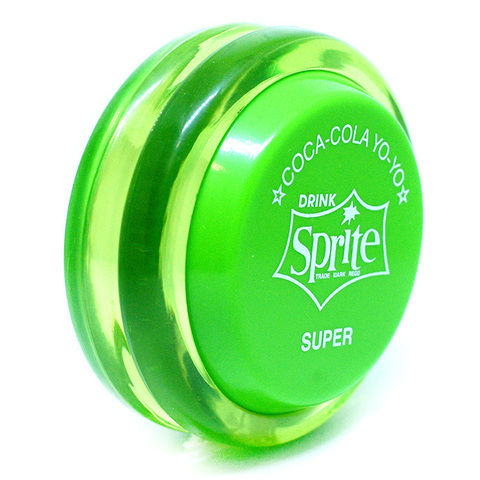 This is a great yo-yo for those who couldn't get their hands on one when they first came out, or for those who remember the good old days when all they did was throw their Coca-Cola yo-yo. This is a responsive yo-yo. This is a display unit yo-yo. 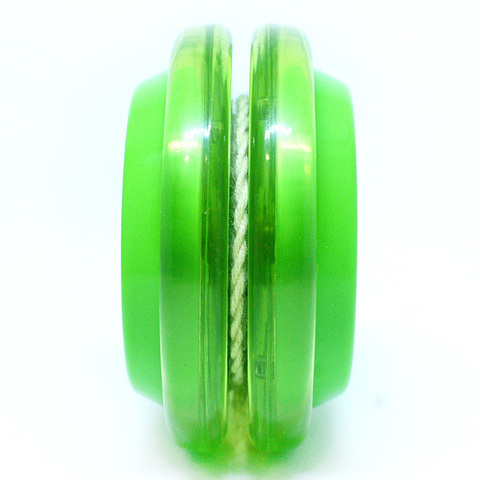 This is a limited edition yo-yo for yo-yo collectors out there.